Recreational anglers fishing for bass are to be allowed to retain up to one bass per day from April 1st-31st October 2019 after EU fisheries ministers thrashed out an agreement in the early hours of Wednesday morning. It’s a disappointing result for anglers who were campaigning for the bag limit to be increased to three or two bass per day based on scientific estimates indicating this was sustainable. The UK government agreed such an increase would be proportionate and pushed hard for an increase in the bag limit but received no support from other EU countries as well as opposition from the EU Commission which, contrary to the scientific estimates, argued that two fish per day would lead to a doubling in the amount of bass removed by recreational fishing. Bass is beginning to recover after reaching critically low levels in 2014 and although the shoots of recovery are starting to be seen last year’s measures were not as effective as hoped and the EU Commission was very robust this year in making sure the recovery is built on with limited additional targeted fishing in 2019. However, the Council of Ministers did agree to moderate increases in commercial hook & line limits from 5t to 5.5t per year; bycatch limits for trawls from 100kg per month up to 400kg per two months (but still no more than 1 per cent of catch per day); seines from 180kg per month up to 210kg per month (but still no more than 1 per cent per day); and fixed nets up from 1.2t per month to 1.4t in 2019. The proposed percentage of catch per trip limit for fixed nets was dropped completely in the final deal meaning, for the third year running, the UK has agreed to unenforceable ‘unavoidable bycatch’ restrictions for fixed netting. David Mitchell, Angling Trust’s Head of Marine, who was in Brussels for the negotiations, said: “We are disappointed by the result. It looks like, once again, the UK was a lone voice sticking up for recreational fishing. However, as we know, in the EU process you can’t achieve anything on your own. 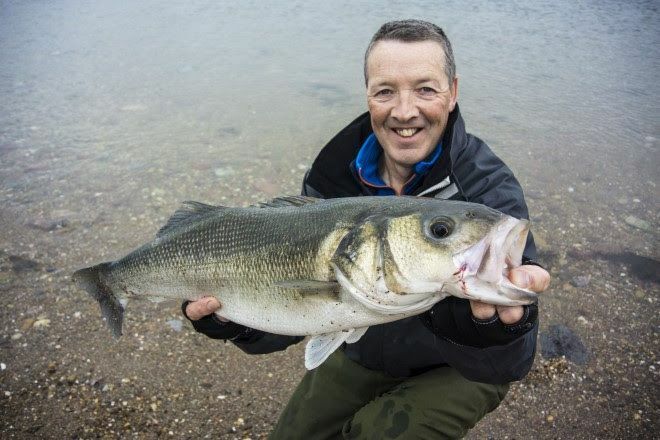 We were astonished that the Commission assumed two bass per day would increase the number of bass taken recreationally by 100 per cent when Cefas evidence clearly indicated it would lead to only a 23 per cent increase. This is something we will be asking the UK government to take up with the Commission in the New Year. DISCOUNTED TICKETS FOR THE BRITISH CARP AND ANGLING SHOW!